Built in 1871 for a cost of $300, the Metchosin one-room schoolhouse served residents for over forty years. John Witty donated to the district the land on which the schoolhouse was constructed. 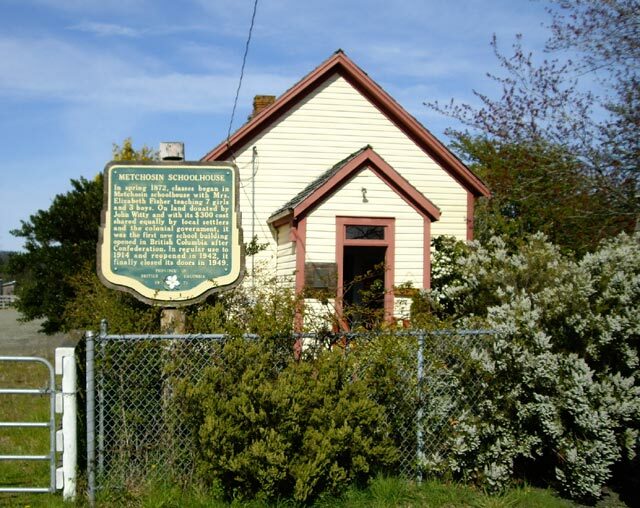 Today the schoolhouse at 4475 Happy Valley Road is a museum documenting early life and education in Metchosin. 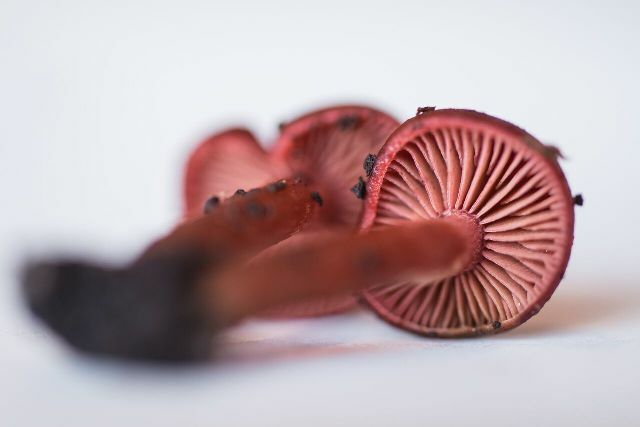 Notices of the Metchosin BioBlitz in the media. Click the images to see the articles. 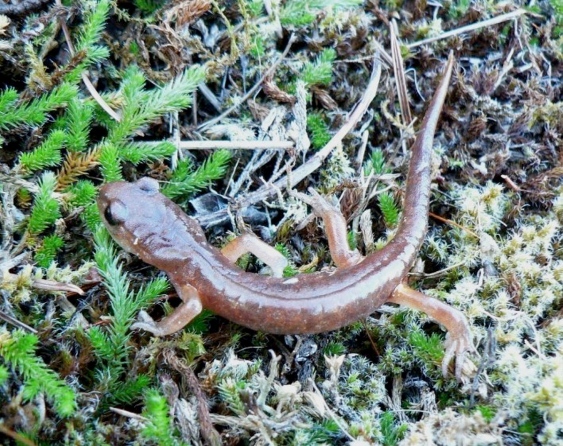 Article in the Goldstream Gazette, April 29, 2011, about the upcoming 2011 BioBlitz. Press release in May, 2011, on the results of the 2011 BioBlitz. 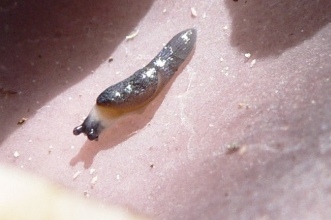 Article in the Metchosin Muse for June, 2011, about the results from the 2011 BioBlitz. 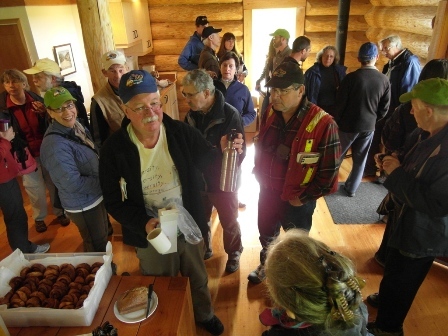 Article in the Goldstream Gazette, May 17, 2011, about the results from the 2011 BioBlitz. Article in the Goldstream Gazette, May 2, 2012, about the upcoming 2012 BioBlitz. 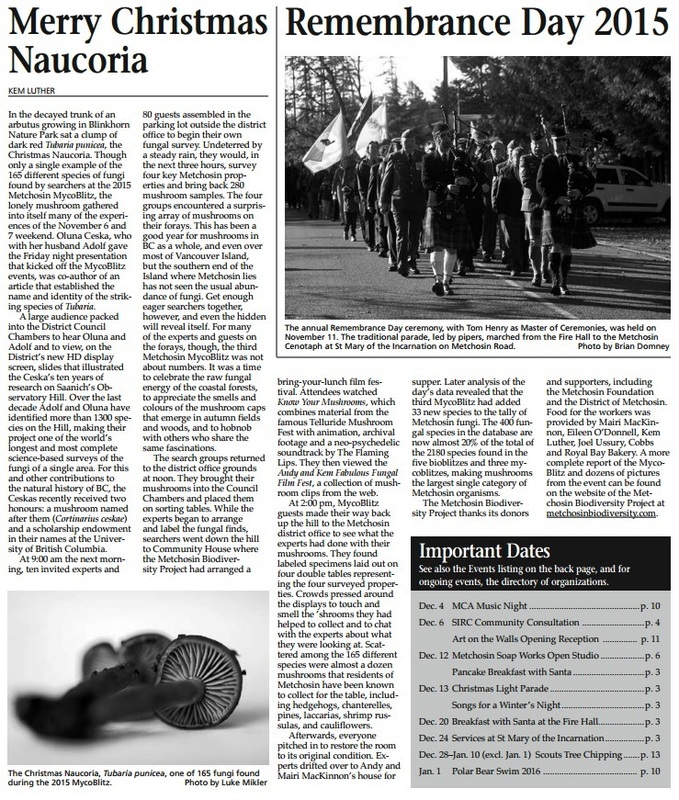 Article in the Victoria Times-Colonist, April 19, 2012, about the upcoming 2012 BioBlitz. 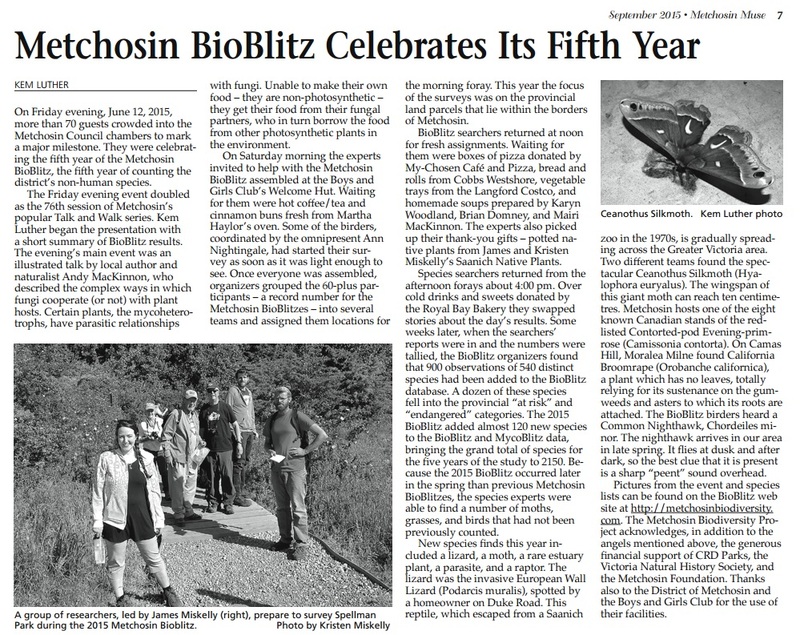 Article in the Metchosin Muse, June 2012, about the results of the 2012 BioBlitz. 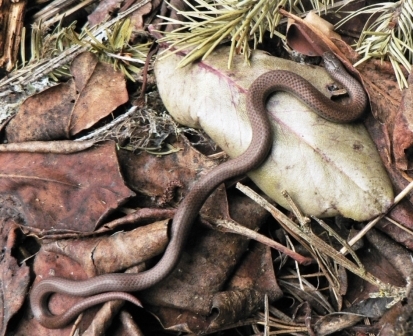 Article in the Victoria Naturalist, June 2012, about the results of the 2012 BioBlitz. 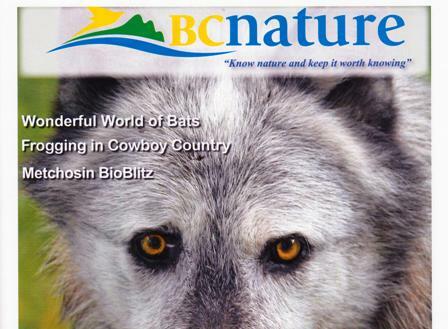 Article in BC Nature, Fall 2012, about the results of the 2012 BioBlitz. 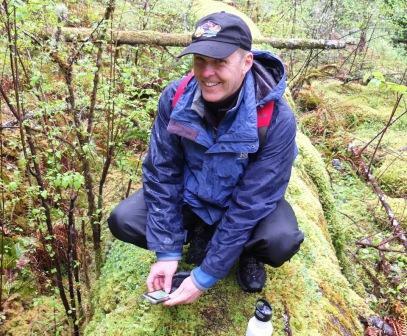 Article in Goldstream Gazette, April 2013, about the upcoming 2013 Metchosin BioBlitz. 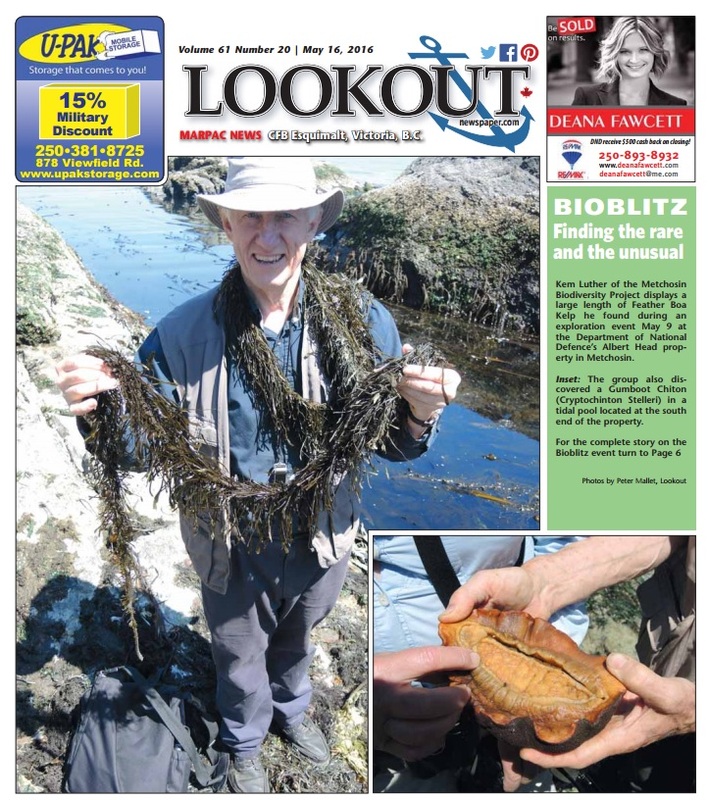 Article in May 15, 2013 Times-Colonist about the 2013 BioBlitz results. 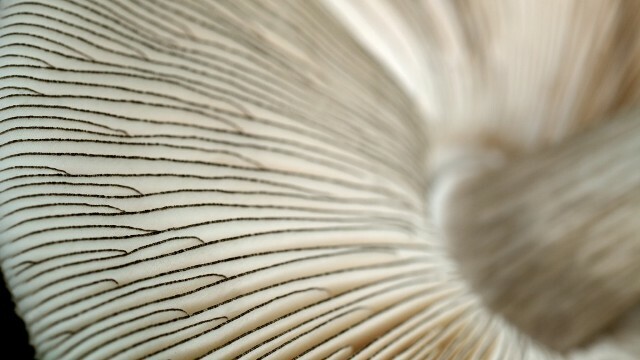 By Judith Lavoie. 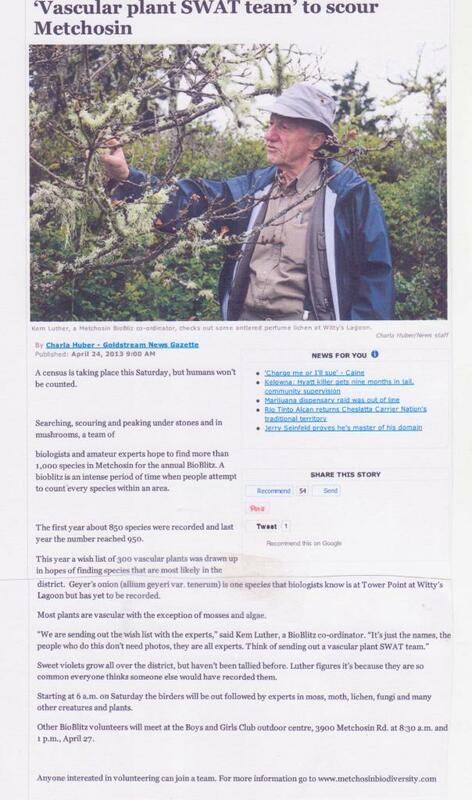 Article in the Metchosin Muse, May 2013, about the results of the 2013 BioBlitz. 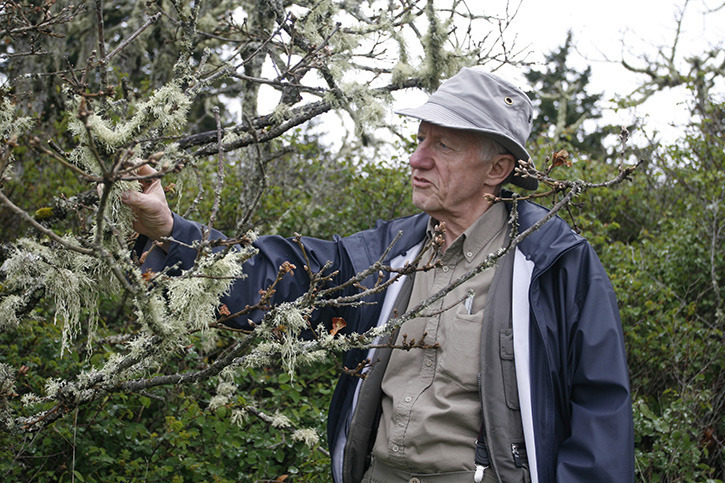 Article in the Metchosin Muse, July 2014, about the results of the 2014 BioBlitz. 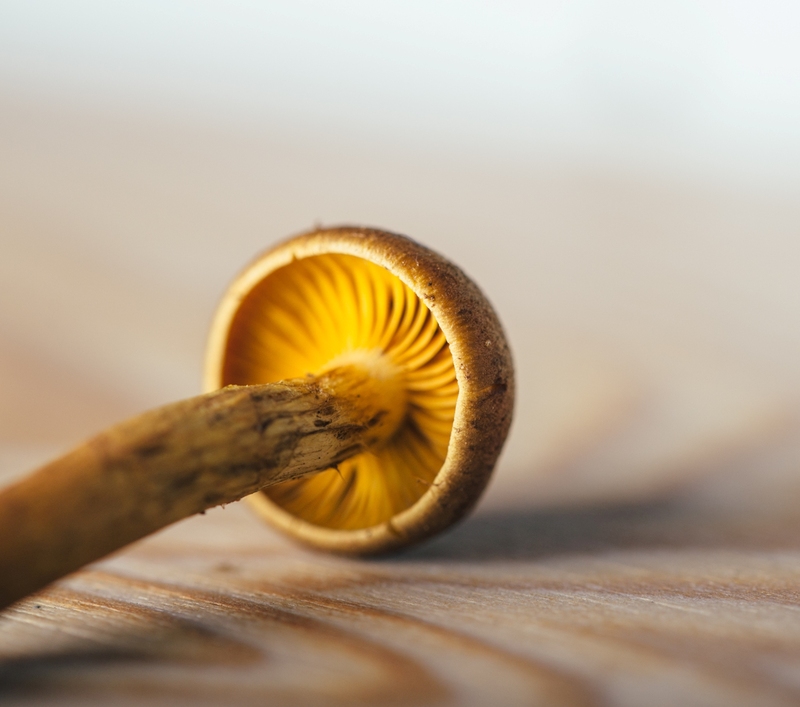 Article in the Metchosin Muse, December 2014, about the results of the 2014 MycoBlitz. 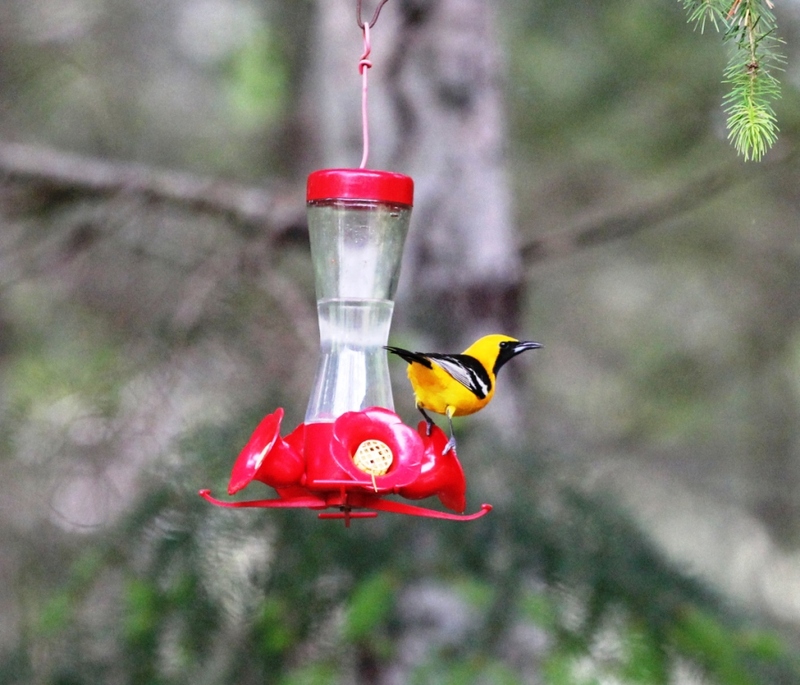 Article in the Metchosin Muse, September 2015, about the results of the 2015 BioBlitz. 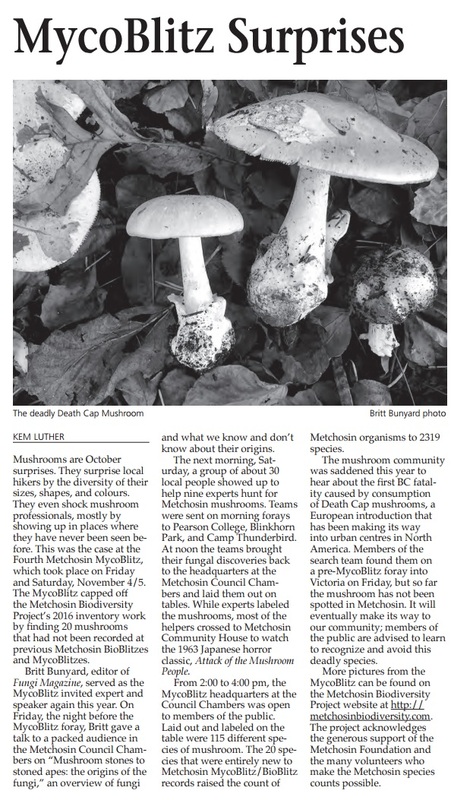 Article in the Metchosin Muse, December 2015, about the results of the 2015 MycoBlitz. 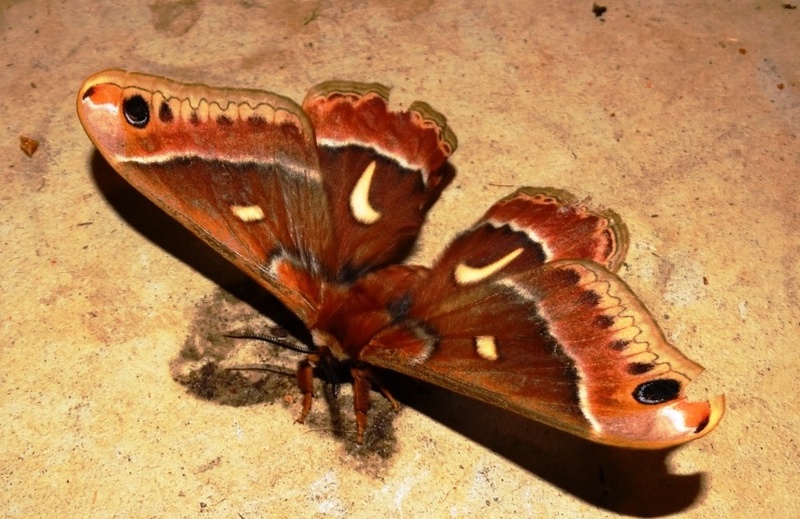 Article in the Metchosin Muse, June 2016, about the results of one of the 2016 BioBlitz surveys.. 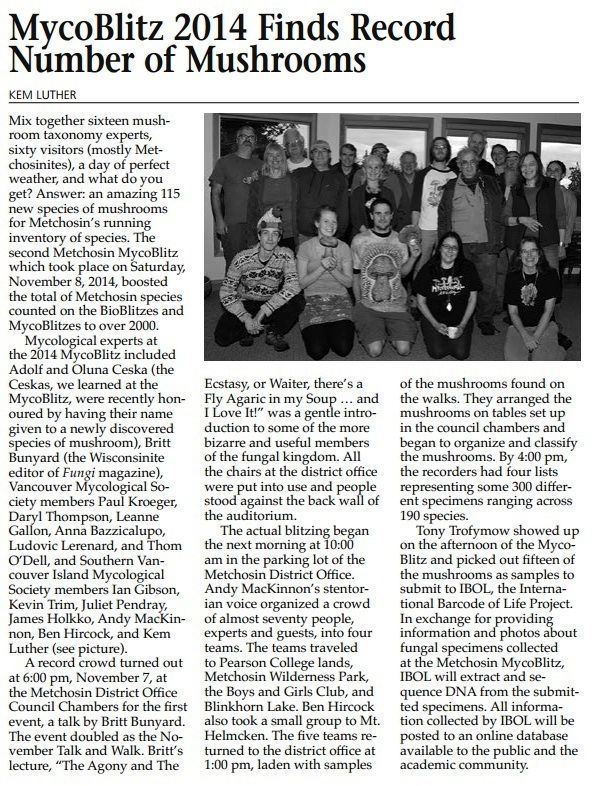 Article in the Metchosin Muse, December 2016, about the results of the 2016 MycoBlitz.